United Electric has a wide array of ordinary location industrial switches for general purpose: vacuum, pressure, differential pressure and temperature switches. 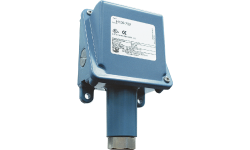 The 100 Series is a cost-effective pressure and temperature switch for process plants and OEM equipment. Typical applications that utilize the 100 Series are heat tracing, freeze protection, processing equipment (pumps, compressors), inputs for annunciator panels, and fire suppression systems. The 400 Series is a versatile family of vacuum, pressure, differential pressure and temperature switches for applications that require single or multiple switching capabilities. Dual and triple switch versions provide multi-output for alarm and shutdown,pre-alarm and alarm, high/low limit or level staging functions. 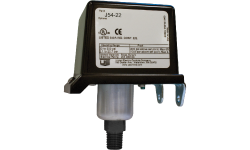 A reliable and cost-effective switch, the 10 Series is ideal for applications with high settings and surges. Among the tough applications in which the product has proven itself are: mobile hydraulic units, compactors, balers and lube oil systems. 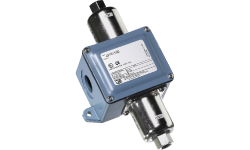 The cost-effective 24 Series Delta-Pro™ pressure, vacuum, and differential pressure switches offer a unique blend of compact size, excellent performance, and environmental protection. The 54 Series offers the OEM a combination of reliable performance and low cost. Available in pressure and temperature versions, with single or dual SPDT outputs and enclosed or open frame (skeleton) construction, the 54 Series family provides design versatility. 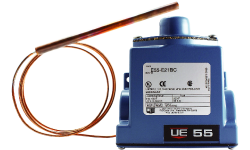 The E55 Series provides rugged, dependable temperature control for many applications. Available in single or dual output versions, with either an epoxy coated enclosure (designed to meet NEMA Type 4X) or skeleton construction. 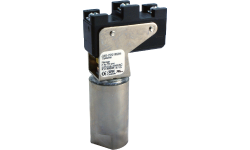 The J6 is a reliable, sensitive pressure switch, originally designed for instrument air applications in process plants. Its compact design and combination of set-point sensitivity and narrow or optional adjustable deadband, offers cost-saving solutions for a variety of applications. 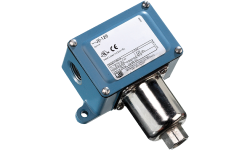 The J21K differential pressure switch monitors the difference between two system pressures or vacuums and senses excessive flow deviation, or verifies that a filter is clogged. It’s widely used in refrigeration (chiller) and compressor applications, the J21K can be used for filter status monitoring and proof of flow. The J40 can be utilized in OEM applications where compact size and performance are required. The sealed bellows sensor provides a “leak-free” sensor for applications where elastomers are unacceptable. 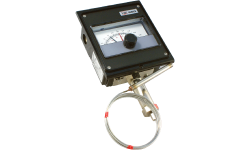 For applications that require a visual display of process temperature and set point, the 800 Series offers a highly readable four inch setting/indication scale.